As well as announcing their new line-up of dual-view gaming HDTVs arriving in the second quarter of 2012. Phillips have also this week launched its new Philips HMP2000 set top box, which has been designed to compete with the likes of Apple TV, Roku and other set top boxes. The Philips HMP2000 will connect to any HDTV with a HDMI port and provides services such as Netflix, LoveFilm and YouTube, As well as BBC/Channel 4 content which is supplied via Netflix, rather than either iPlayer or 4oD. The small Phillips HMP2000 measures just 90 x 50 x 100mm and is wedge shape in design, providing 1080p video output where the current Apple TV 2 device only manages 720p. However this might soon change if rumours are correct, and Apple launches a new Apple TV 3 device in the near future. Phillips HMP2000 is equipped with integrated WiFi connectivity, and is fitted with a USB port for hooking up a memory stick for playing local media directly. 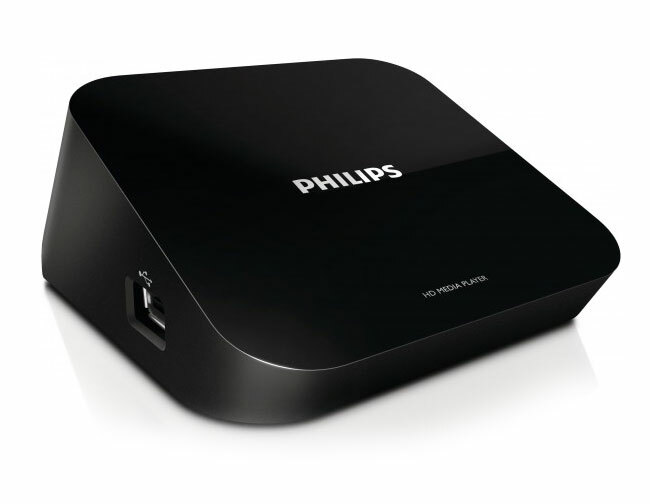 The Philips HMP2000 set top box is currently available in the UK for around £50, no news on worldwide distribution though at the moment from Phillips. Have a look at our handy guide in the difference between LCD and LED TVs.